Exclusive: “Diesel” talks with MMAmania.com about going for back-to-back Octagon wins when he meets Chris Camozzi in Pittsburgh, Pa., this Sunday night (Feb. 21, 2016), his controversial victory over Ron Stallings in Sept. 2015, as well as his UFC future. 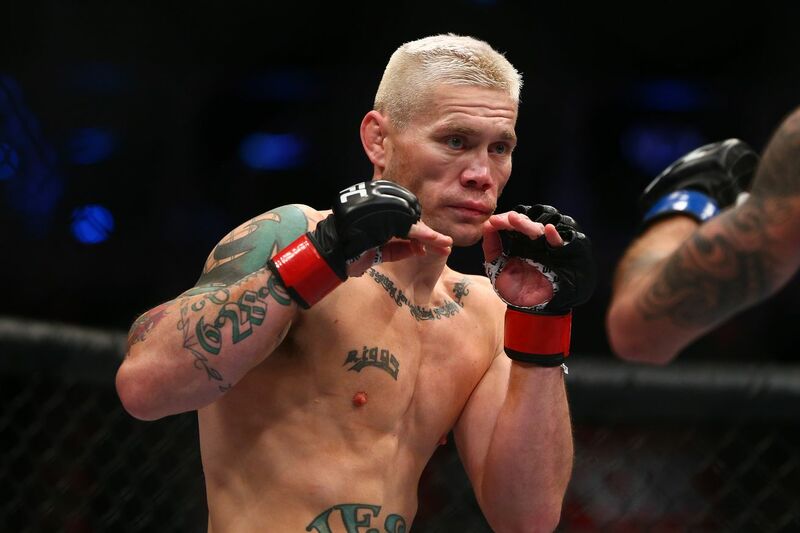 Former Bellator MMA “Fight Master” tournament winner and World Extreme Cagefighting (WEC) Middleweight champion Joe Riggs is still trying to find his footing in Ultimate Fighting Championship (UFC). But, with a crippling cut to 170 pounds out of the picture because of the ban on IV hydration, “Diesel” is back to his old self. “At 185, besides my last fight … because I had a hard time cutting weight while I was sick, this time I’m around 196. So the weight cut isn’t going to be a factor. I’m going to throw my hands a lot more as I have in the past,” Riggs told MMAmania.com in a recent interview. Riggs, 33, attempts to build upon the success he had in his last foray in the Octagon, which was a disqualification victory over one-time Strikeforce veteran Ron Stallings back in Sept. 2015, when he takes on The Ultimate Fighter (TUF) 11 contestant Chris Camozzi at UFC Fight Night 83 in Pittsburgh, Pa., later this evening (Sun., Feb. 21, 2016).